Brooklyn, 1925 - On Christmas night just south of the Gowanus Canal at 154 20th Street, the bodies of three young men were found at a ramshackle saloon known as The Adonis Social Club. One of them had been dragged outside, evidenced by the long blood streaks on the sidewalk, and left in the gutter. The three young men were well known Irish gangsters from the northern part of the Brooklyn waterfront up toward the bridges. It took an Irish detective from the Poplar Street Station (located at the abutment to the Brooklyn Bridge) to identify them. They were Aaron "Abe" Harms, Cornelius "Needles" Ferry and twenty four year-old Richard "Pegleg" Lonergan, leader of Irishtown's old White Hand Gang. Lonergan, the newspapers reported, still had a "fresh toothpick" lodged in the corner of his mouth. James Hart, another Whitehander, was found at the Cumberland Street Hospital not far from the Adonis Social Club with a gunshot wound to the leg. Per Det. Brosnan's request, two other Irish gangsters were arrested for questioning and said to have been at the Italian club during the shooting. They were Patrick "Happy" Maloney and Joseph "Ragtime" Howard. A "hat check girl," a female "entertainer" and another female guest were taken into custody also. Although all three had noticeable Irish surnames, they were working at the Adonis Social Club at the time, or were a guest. The only Italians arrested that were at the scene of the triple murder were the following, Sylvester Agoglia, bartender Anthony Desso and one Alphonse Capone. Al Capone (right), arrested for the murder of three White Hand members. Rumors had it that the Whitehanders, led by Lonergan, commented to the girls to "come back with white men, for chrissake." 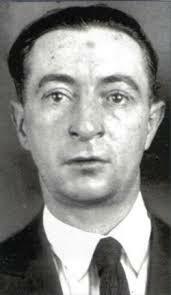 One can only wonder if it was the girls that brought the Irish gangsters to the Italian neighborhood, but one thing was for sure, since the death of former leader Dinny Meehan in 1920, then of "Wild Bill" Lovett in 1923, the White Hand Gang was loosing territory to the Italians. Lonergan, it's been said, wanted a final stand off to the death. At the Lonergan wake on Dec. 30, which was held at the tenement where the Lonergans lived on Johnson Street, two other members of the White Hand Gang were arrested for threatening reporters not to take pictures. They were Matthew "Matty" Martin and Frank Gervasio. Eventually Capone was let go by police for lack of witnesses (even though the bar was full, no shots were heard. Even by the upstairs residents). But it was this event that brought full circle what started seven years earlier when a young Capone was forced from his hometown of Brooklyn in 1918 to Chicago because, as the famous Irishtown native Willie Sutton said, "the Irish mob played too rough." Richard Lonergan was born into royal gang blood. His mother was Mary Brady, most likely the sister of Lower East Side Irish gang leader Yake Brady (or Yakey Yake Brady). Mary married John Lonergan, who was a failed bare-knuckle prize fighter and mid-level tough for the Yake Brady Gang. Together, they had 15 children. They might have had more, if Mary hadn't murdered John after he punched their daughter Anna in the face one day in 1922. Lovetts and the Lonergans were family friends before both families moved to Brooklyn from the Lower East Side. When Richie (his family called him "Richie," not Pegleg), was eight years old, his mother Mary sent him for a loaf of bread, so the story goes. Along the way, the boy was run over by a trolley which severed his leg at the knee. Soon enough, Richie had his own gang of young teenagers and after Lovett decided to join his Jay Street Gang with Dinny Meehan's White Hand Gang umbrella organization, Lonergan soon followed suit. Richie quickly gained a reputation as a brisk fist fighter, wooden leg or not. He was arrested a number of times for fighting and drinking and at one point, while working at his bicycle shop, killed an Italian boy who was attempting to force Richie to sell drugs out of it. Richie was arrested, but soon let go for the usual reason: no witnesses. It was right around this time that Al Capone's wife, Mary "Mae" Coughlin (an Irish girl) gave birth to their son, Sonny. 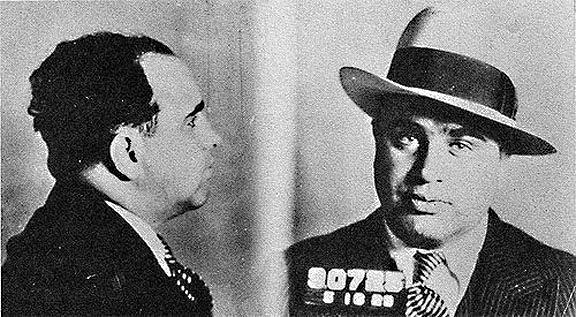 Capone was by this time considered the future of Italian organized crime. As a safety precaution, since the White Hand Gang was regularly threatening to kill him, Johnny Torrio and Frankie Yale decided to send Scarface Al to Chicago. Not only because big money was available there, but it was safer as he was not as well-known among the wild Irish like he was in Brooklyn. So, it was the White Hand Gang that forced Al Capone out of Brooklyn. But as we know, he gets his revenge. 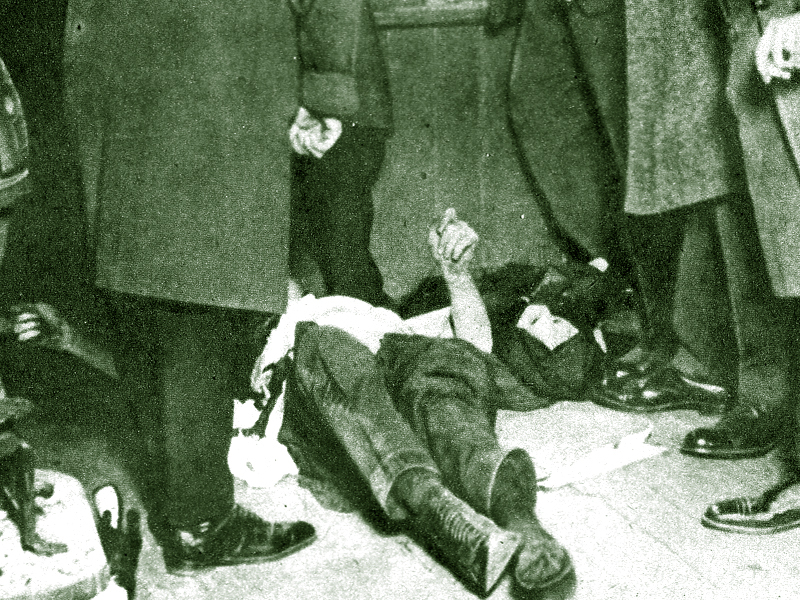 After Meehan was murdered in 1920, a war for the seat of power within the White Hand Gang broke out. Lovett fled to Chicago, leaving Richie temporarily in charge of the gang. Over a period of eight months, close to 15 bodies were found of the followers of Lovett/Lonergan and the followers of the dead Meehan. After Lovett came back, Richie naturally stood aside for his elder's experience, but in 1923, Lovett quit the gang for suburban life with Anna Lonergan, moving to New Jersey. Eventually Lovett was murdered that same year, and the gang was in Lonergan's hands. on a Bridge Street saloon. Although Richie was now the leader, the White Hand Gang was a shell of its former self. 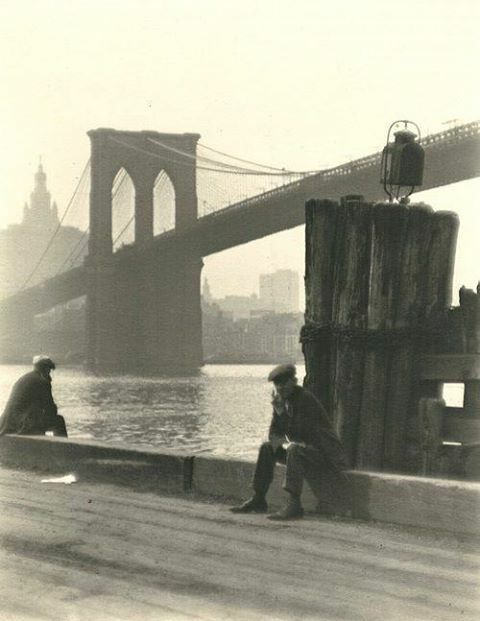 Many things had changed and it was the Italian groups that had best organized the rumrunning and illegal importation of liquor during Prohibition that weakened the old Irish grip on power along the docks of Brooklyn. The Italians thought big, while Richie and the Irishers still had a street-by-street mentality. From the Navy Yard down to Red Hook, the gang still ran the tribute racket of longshoremen, but the Albany lawmakers and the googoo Protestants who believed in Progressivism were changing the way politics treated the poor, giving them more opportunities instead of ignoring them altogether (which strengthened the street gang lifestyle). The White Hand Gang was in disarray and many within it still didn't see Richie as the true leader. This disorganization was used and encouraged by the Italians. Richie, a known alcoholic, was angered at the declining state of the gang he had been a member of since he was only 15 years old. Now 24 and the leader, he wanted a final showdown. The piers under the Brooklyn Bridge (right). Speculatively, when Richie "Pegleg" Lonergan learned about the three Irish girls working at the Italian place that Al Capone was going to be in, Richie gathered five or six of his men, made sure they were armed, and headed for death at the Adonis Social Club. Al Capone, as we know, went back to Chicago after his son's surgery in Brooklyn and made it into the history books. Richie Lonergan into Cavalry Cemetery. In the historical novel Light of the Diddicoy, Richie Lonergan is a 15 year old who is courted by gang leader Dinny Meehan. Meehan uses the fact that Lovett, Richie's childhood friend, has already submitted to give tribute to his gang and offers to help the Lonergan family open a bicycle shop. The young Lonergan refuses, then leaves. Lonergan, who stops and stares the man down, then challenges him to a fight. The man weighs sixty pounds more than the kid, but Richie is not concerned. Within minutes, the entire gang surrounds the two in the ancient fighter's circle and places bets on who they think will win, and this is how Richie "Pegleg" Lonergan joined the White Hand Gang.